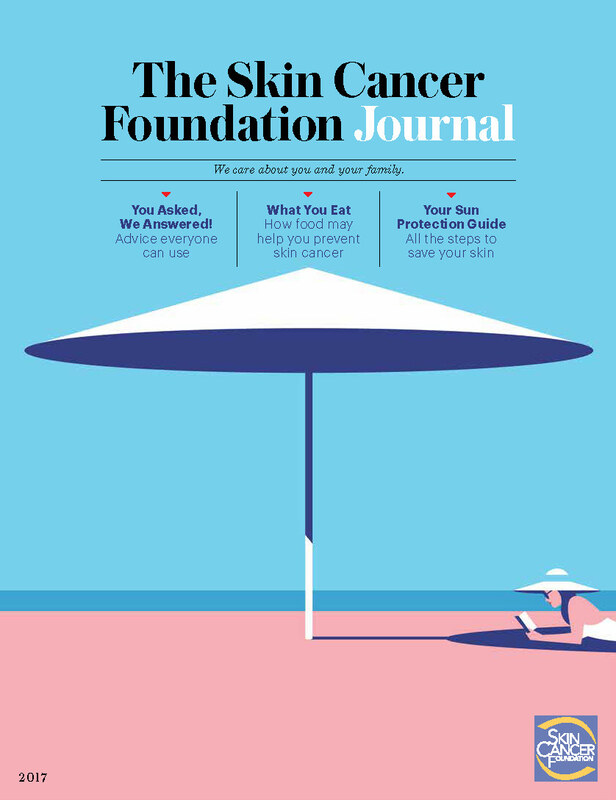 For 35 years, The Skin Cancer Foundation Journal has been sharing advice from experts on skin cancer prevention, early detection and treatment, as well as personal stories from those who have experienced skin cancer. It also highlights the Foundation’s members, donors, programs and events that all support our efforts to fight the world’s most common cancer. We invite you to browse the stories and share them with your friends and family. Together we can make a difference! In this issue of The Skin Cancer Foundation Journal, our member physicians respond, in Dermatologists Answer, to questions covering healthy skin, prevention, early detection and treatment of skin cancer. You do your best to protect your skin from the sun. But did you know Mother Nature ups the ante on windy days? Our experts share some breezy advice for when you are up Against the Wind. While some facts about skin cancer and sun protection are fairly obvious, many others are unexpected — even to those of us who have decided to make a career out of fighting skin cancer. So we asked our staff: "What's the most surprising thing you've learned since joining the team?" Read their answers in Say What?! Finally, outdoor training was always part of this Olympic gold medalist's active lifestyle. Using sunscreen religiously wasn't a top priority, though, until she was diagnosed with melanoma. That spurred her to a new goal: to help others avoid skin cancer. Discover Summer Sanders' New Direction. Add to your cart and download it for free!